Hair Bows & Hair Ribbons on Sale. Cheerleading uniforms, check. Cheerleading socks, check. Cheer briefs, check. 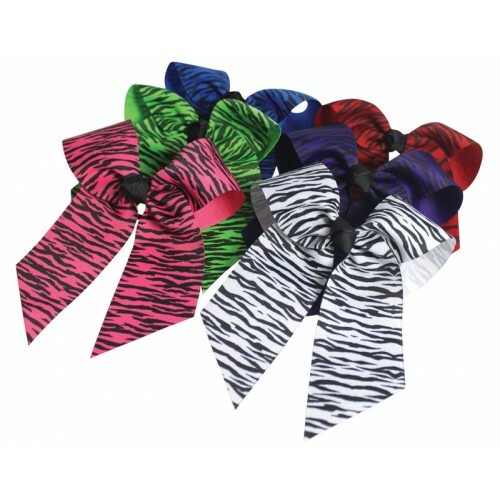 Add the finishing touch and complete your look with a cheerleading hair bow! The right accessories can make your uniform sparkle even more. Look no further than Cheer Etc for your squad’s Cheerleading Hair Bows and Hair Ribbons. We offer the latest designs in Custom Cheer Bows, have unbeatable prices & team discounts, have fast shipping, and superior customer service! 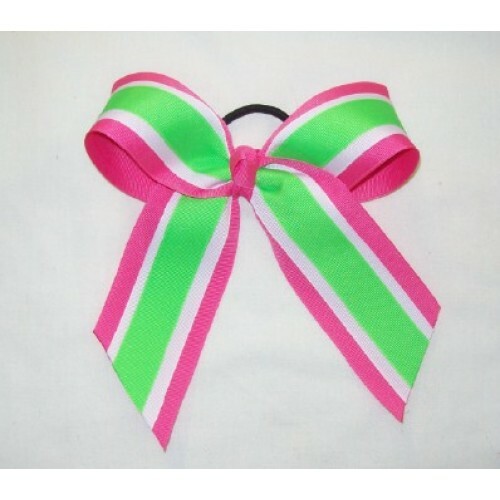 We have both in-stock hair bows and custom made that can be made in any color combination you desire! We offer many styles to choose from including longer, streaming ribbons, perfectly knotted bows, pinwheel-style ribbons, and bows with sequins, polka-dots, animal prints, and much, much more. All of our cheer bows are made with high-quality fabrics and are designed to stay in place even as you tumble and leap through the air. Adding that extra special piece of flair will dazzle your audience!